Anna Kadlec (right) and another woman on the beach. Anna wrote "Chaplen and Kentucky" on the photo. She was nicknamed "Miss Kentucky" for her love of music by Stephen Foster, and the place that he wrote his songs about, Kentucky. 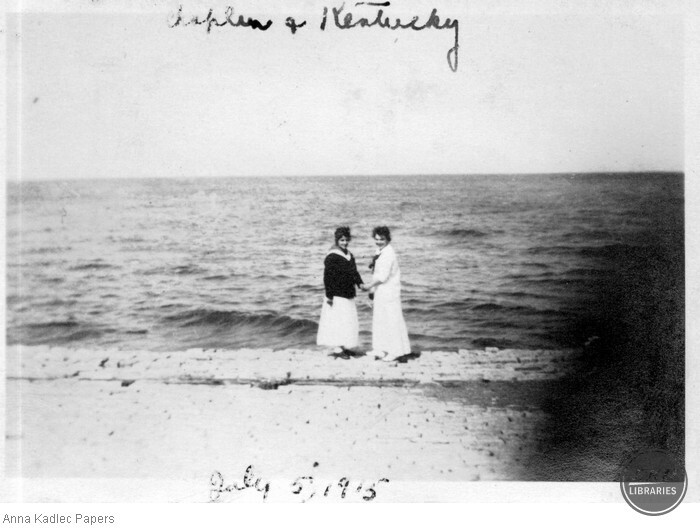 unknown, “Chaplin & Kentucky,” Digital Collections, accessed April 21, 2019, https://digitalcollections.eku.edu/items/show/13430.